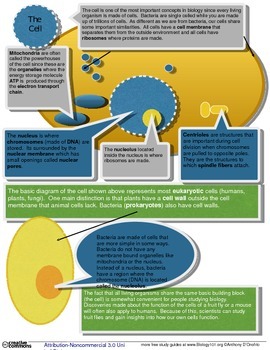 A colorful one-page study guide for learning the parts of a cell. Keywords include chromosome, nucleus, cell membrane, ribosome, mitochondria, organelle and more. This is in Word format so you can edit as you'd like.